no time for you to enjoy the silence. Roman is writing on a full step by step of his work on Kimera's Lord Dumah, which will hit the jungle next week. Stay tuned for it. This will be interesting for many of you. Scheduled for next week too is a big review of Roman's second Advanced Class he recently held in Blumberg-Achdorf. Teaching about atmosphere and how you can include it in your paintjobs and how it will overhaul your way of working and thinking. for those of you who are not on facebook and did not get the news yet: www.romanlappat.com went online today. Roman was working on his artists portfolio page now since one and a half year and now it is ready. Not everything is finished as some further plans will be included in the next weeks, but such a project is a neverending story. Check it out and enjoy! Many thanks to http://www.philipprinz.com/ for his great work, support and help! Contact him if you are in need of a helping hand when it comes to your homepage . Next weekend workshop ahead is Jar's Beginners Class in Copenhagen, Denmark in June. Thanks to the great organisation of Jacob and Peter and the great location of Farros Cigar Roman is already pretty much looking forward to a fully booked seminar. 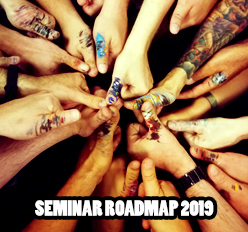 Check MV's Seminar Roadmap 2017 for news about workshops. There will be more of course. Plenty of things are in the pipeline, more private coaching reviews, more kong fu, some finished projects, another book review and more. Jungle drums will bounce again, but with a healthy pace. Stay tuned! Congrats on your site going live, looks great!